Hello everyone, sorry its been so long I’ve been busy with school work and stuff like that! Anyway, since it’s coming up to summer I thought this post was appropriate. I think jelly shoes are a love, hate item, you either love them or hate them. I personally love them! So I’m going to show you a few ways in which you could style a pair of jelly shoes, for this coming summer! One more thing, I purchased my jelly shoes from New Look for £14.99. The first way in which you could style your jelly shoes, is with a pair of high waisted jeans and a cropped top. 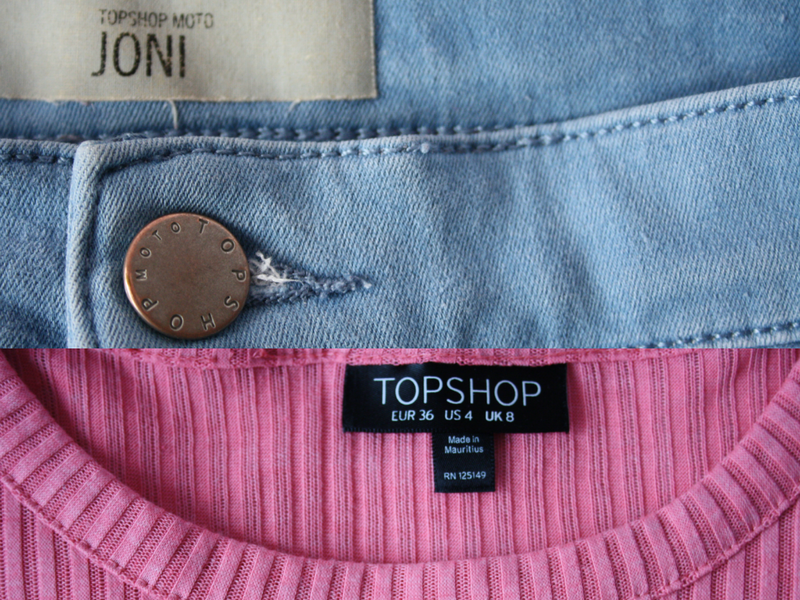 I have the Joni Jeans from topshop, and a simple pink cropped top from Topshop also. The jean colour can vary, I think black would also go really well with this look! You could even dress this look up a bit, by adding a kimono or a chunky necklace or something. Or just wearing this casual on a hot day in summer would be perfect also. If it’s a super hot day, you could always replace the jeans with a pair of high waisted shorts, this would be a good replacement and look super good with jelly shoes! Personally, I think this is my favourite way to style a pair of jellies!! This is for more of a dressy style, maybe for a party or a gathering you may be going too. This first one, is a bodycon dress, I got mine from Boo Hoo. (They’re super amazing for dresses, you should go check it out if you haven’t already)! This is a really simple look, but still quite dressy. I would recommend adding some accessories to this look, because you don’t want it to be dull! The second look is just a plain black skater skirt, I got mine from H&M. Perfect for summer, and so cute. You could pair the skater skirt with a pretty cropped top or even a long top tucked into the skirt! With this look I would also say maybe adding some frilly socks with your jellies, however not everybody likes this look because of the whole ‘socks and sandals’ thing, I get it, but I still think it looks super cute and I’d give it a go. So dressy or casual, jelly shoes are perfect for this time of year! I hope you enjoyed reading and maybe got some tips on how to wear your jelly shoes or want to now go out and buy some! Thanks for reading.